As a parish, over the last few years, we have become rather good at facing challenges. I believe that we have grown through each fresh challenge, and by the grace of God we will continue to do so, no matter what may lie ahead. In recent weeks a new challenge has come along, which I am quite sure we will deal with in the same faithful and positive way. A short time ago we discovered a small separation between the wall and the floor in the parish office at FPCC. We called in the company who built the Church centre, they investigated and found that there was some subsidence in the church centre due to some rotting beams appearing under the FPCC floor. This is not dangerous for now, but obviously needs dealing with. To cut a long story short, the builders propose to replace the entire floor of the Parish Centre, under guarantee, with concrete blocks and beams instead of wooden. This will mean that the Church centre will be out of use for 4 to 6 weeks beginning on the 4th January. Obviously, this is a big blow for the parish, our hirers, and all who use the church centre. However, the work is necessary, and we will do all we can to work together to minimise the effect upon all concerned. We will relocate Sunday worship and have combined parish services at P&J. If you normally walk to FPCC and need help getting to P&J please contact Julian Barley on 01252 687 150 and he will work with our transport team to arrange for a lift from FPCC to P&J. 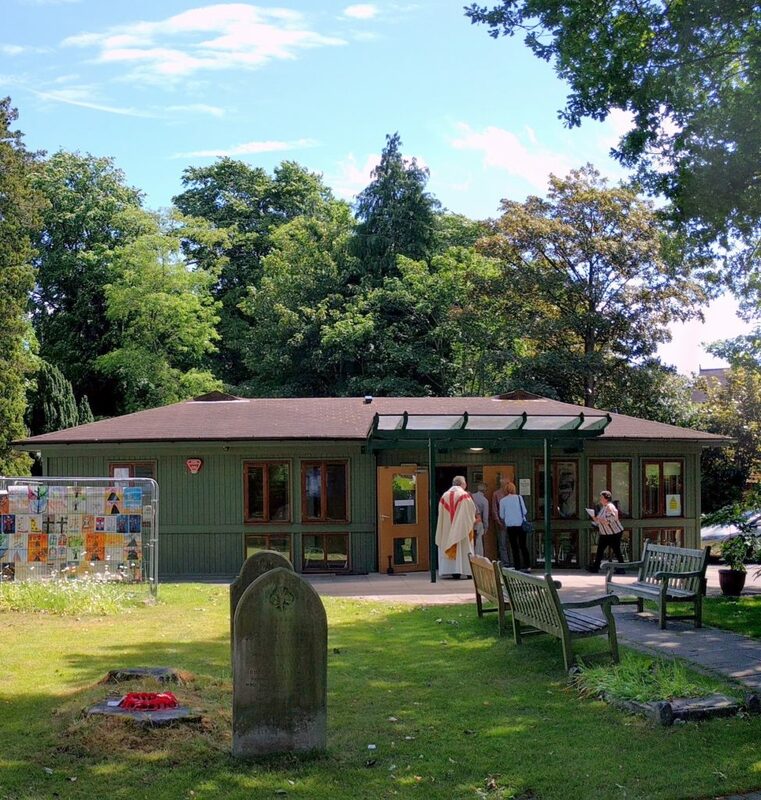 The Parish office will relocate to a mobile unit in the Churchyard. The contents of FPCC will be removed and stored in storage units. We will work with our hirers in trying to find alternative locations for them during this time. This might be at P&J, at All Saints School, or in one of the other churches in the town. The Coffee bar, Parish Lunches, Toddler Group and Praise and Play will sadly not be able to operate during this time, and we will let everyone know about this and about when these activities will restart. The builders of the centre regret very much that this problem has arisen, and the work will be completed without any cost to us. They have been most helpful in all of this and we are very grateful to them that the work is to be done so promptly. We apologise to all who will be affected by this essential work. If you have further questions or worries please do speak to me, Carol, or the Church Wardens – we will be happy to talk it over with you. Please commend this new challenge to God in your prayers. Thank you in anticipation to you all, I know the whole parish family will work together to overcome this latest challenge as we have done for all those that have gone before.